On Thursday, Kentucky Senator Rand Paul introduced the “America First” amendment to the hurricane relief legislation that would provide assistance while preventing the federal government from further running up its debt. Unfortunately, the amendment that would give the Senate a chance to fund necessary relief in a fiscally responsible manner, was tabled in the US Senate in an 87-10 vote. 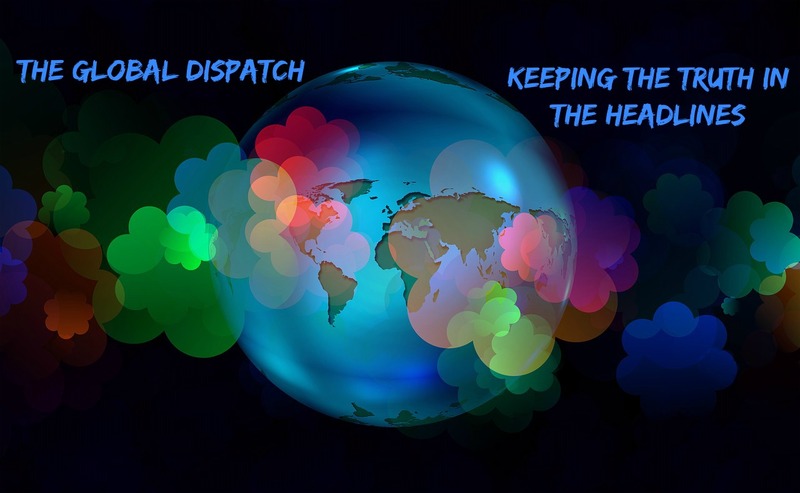 Dr. Paul’s amendment would have offset the proposed $15.25 billion in emergency funding by instead using funds that have been earmarked for foreign aid but not yet spent. In addition, Dr. Paul’s amendment would ensure all spending in the bill goes toward disaster relief instead of long-term funding on unrelated projects. 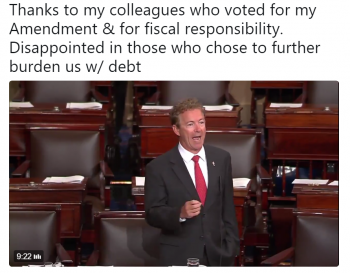 Paul responded to the vote on Twitter–Thanks to my colleagues who voted for my Amendment & for fiscal responsibility. Disappointed in those who chose to further burden us w/ debt.